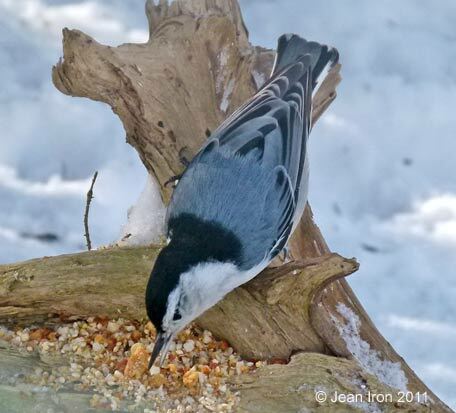 Many thanks to Elmer and Bev Ewert for their warm welcome & hospitality to visitors at their feeders on Weimar Line. 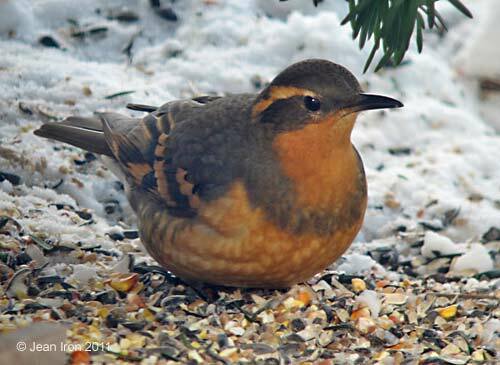 Varied Thrush comes regularly to Elmer's feeders. It stayed close to the dense yew bush. 10 February 2011. Varied Thrush at Elmer's feeders on 10 February 2011. 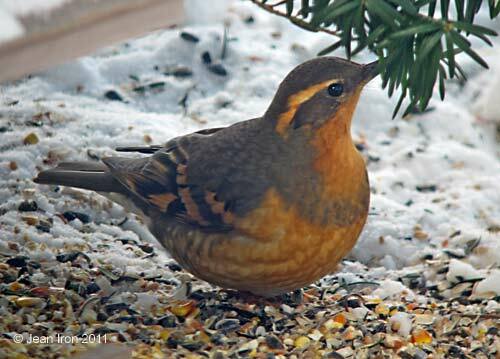 Varied Thrush on 10 February 2011. 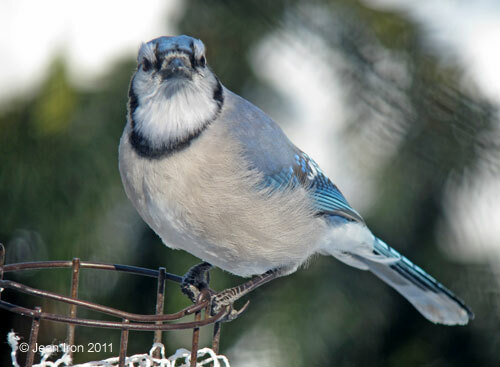 Vocal Blue Jays were on the alert for the local Sharp-shinned Hawk. 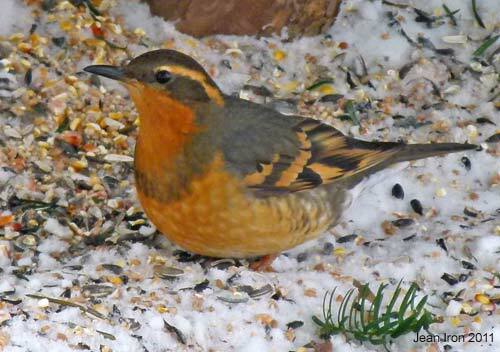 The Varied Thrush usually came to the feeders when the Blue Jays were there. 10 February 2011. Male Northern Cardinal eating snow. 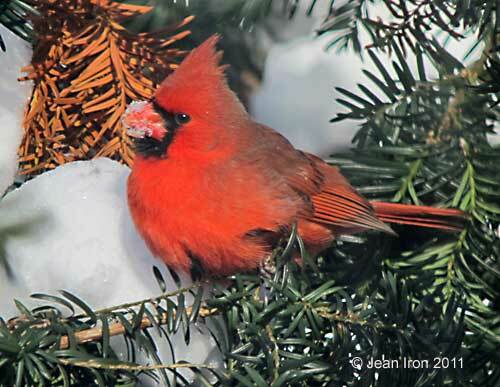 Cardinals must drink water or eat snow to replace body moisture lost through evaporation, especially at low temperatures. 10 February 2011. Black-capped Chickadee was motionless. Maybe a hawk was close by. 10 February 2011. 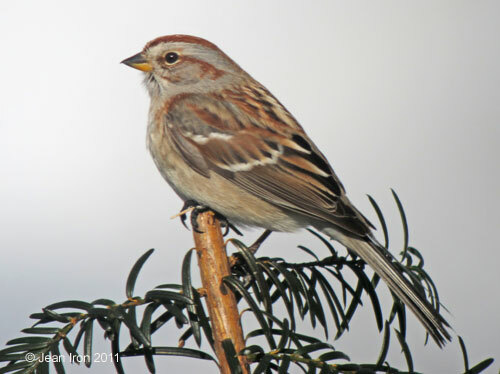 American Tree Sparrow on yew bush. 10 February 2011. 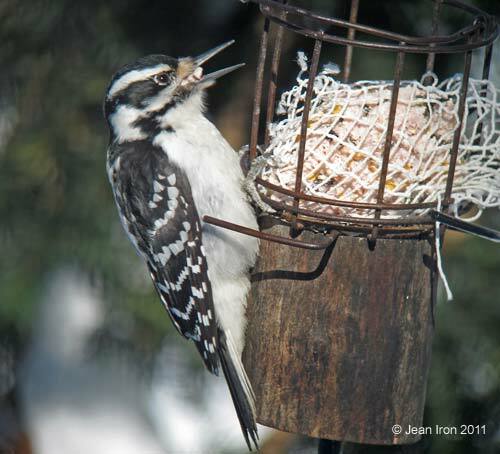 Hairy Woodpecker enjoys special suet mix. 10 February 2011. 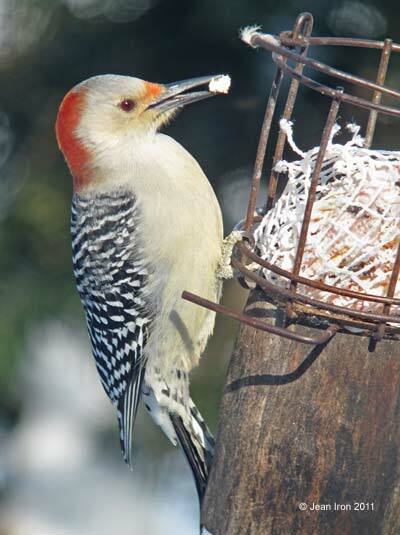 Female Red-bellied Woodpecker on 10 February 2011.